The hero of LittleBigPlanet is a tiny person made out of some kind of coarse-textured fabric. His name is Sackboy. Like everything else in his world, he is a toy. He runs and jumps and slides through an endlessly inventive landscape made of cushions and weights and ramps and springs and glowing bubbles, all rendered with a gritty, high-res perfection which finally shows you why that PS3 you bought was so expensive. Nobody shoots at anybody. When you’re done with the levels the game comes with  and that takes a long time  you can build and download more. 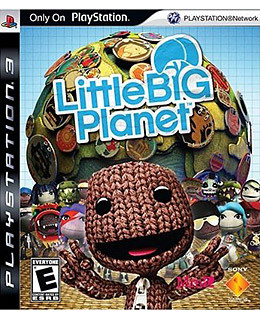 LittleBigPlanet is not an adrenaline game; it’s a restful, chill-out kind of experience. Let Sackboy do all the work. You have all the fun. Read Cyber Monday deals on electronics.